When affiliate marketing was a new word for most of the people, I was actually making money from it. I have been earning money online since 2004. There have been lots of changes in the Internet marketing world over the last 13 years. However, one thing that didn’t change is, finding the proper & legit information for making money online. And that’s when I thought of starting a blog where people, who want to make some extra income, can find exact information about this topic. Hence, I started writing about practical & actionable ways to make money online. 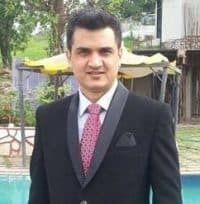 I introduce myself as Pritam Nagrale, Founder of MoneyConnexion, one of my most favorite blogs including SureJob & many others. I love it because finally I can share all my experiences of making money online with you. You will love it because you will start making money with some of the most valuable & actionable content on this niche. That assurance I can give! Before I tell you more about me & MoneyConnexion, let the stats speak.